Medical workers in Bahrain have endured some of the most egregious violations of medical neutrality in the wake of popular unrest that began in early 2011. Physicians for Human Rights documented the unbridled attacks by the Bahraini security forces on the Bahraini medical institution, including arresting and detaining medical workers for providing care to protesters, militarizing the health system, and obstructing access to care. In addition to the individual health workers who suffered such attacks, the wider Bahraini community struggled under a system where the government interfered with the proper functioning of the health care system. Attacks on doctors and other medics reverberate throughout entire populations when people are unable to seek health care or are too fearful to approach medical centers. More than two years after the start of the protests, the Bahraini government has not yet properly addressed medical neutrality violations. Those who were abducted, detained, abused, and tortured have not received any reparation from the government, or even acknowledgement of wrongdoing. Some remain in prison. Others, released from prison, continue to face harassment or intimidation from state officials. The photo essay below highlights the experiences of several Bahraini medical workers who experienced harassment, detention, and/or physical abuse merely for assisting pro-democracy protesters. Their stories represent just some of the voices of those who endured medical neutrality violations in Bahrain, and they demonstrate the significant improvements still needed in order to secure medical neutrality in the country. 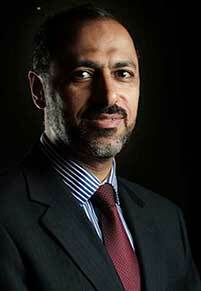 Dr. Al Derazi was interrogated in May 2011 after he treated wounded protesters. While he was not detained or charged, he was forced to retire in January 2012 due to his provision of service to injured protesters. Dr. Al Derazi has now begun working again as a neurosurgeon in the private sector and volunteers his expertise to help injured Palestinians in Gaza. Dr. Al Ekri was one of the 20 health workers charged with felonies for treating patients in need in the wake of the uprising that began in Bahrain in February 2011. 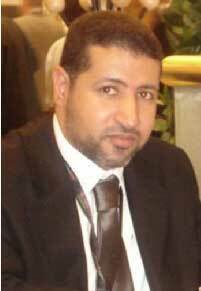 He was detained in March 2011 and was subjected to torture. Dr. Al Ekri was sentenced to 15 years in prison by a military court, but a civilian court later reduced his sentence to five years. 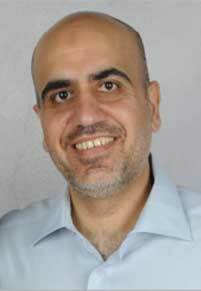 Of all the medical professionals arrested, tried, and convicted for administering care to protesters, Dr. Al Ekri faces the longest prison term. Dr. Al Ekri is well known for his charity and humanitarian work, providing medical services to orphans, widows, and victims of war. 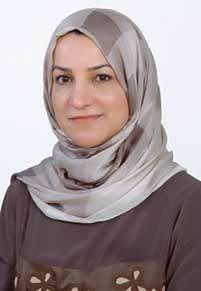 Dr. Al Sammak is widely known for her professional skills as well as her commitment to public service. She was arrested on April 11, 2011. Four masked men blindfolded her and took her to the Criminal Investigation Directorate (CID) for interrogation, where she faced insults, false accusations, and physical attacks. She was forced to sign papers without reading them, having her blindfold lifted a bit. 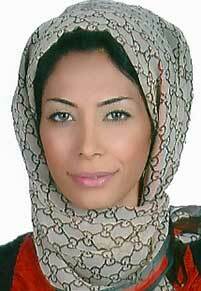 After two days of interrogation, she was transferred to a jail where she spent 25 days. She was acquitted of all charges and was recently reinstated at work. Dr. Al Yusuf was treating patients when she was trapped inside Salmaniya Hospital after it was taken over by Bahraini security forces. After sharing first-hand information on the violations committed by security forces with the international media and human rights groups, Dr. Al Yusuf endured humiliating interrogation. She was forced to sign a pledge promising that she would not share what she had seen to any foreign reporters, but continued to share information from Bahrain. Pro-government social media harassed her, asking people not to seek her medical services. 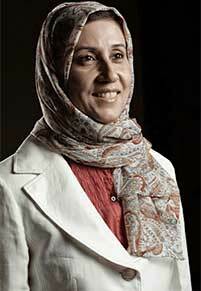 Dr. Al Yusuf is also a founding member, alongside several of her colleagues, of the Bahrain Rehabilitation and Anti-Violence Organization (BRAVO) which is dedicated to documentation and rehabilitation of victims of violence. Dr. Aloraibi was arrested on unfounded charges of occupying the hospital, promoting the overthrow of the state, participating in unauthorized rallies, stealing medication, and discriminating against patients. During his arrest, he was dragged down a staircase, blindfolded, and beaten by several people. In detention, Dr. Aloraibi endured severe torture that has left him without sensation in his left hand. Dr. Aloraibi has been dismissed from the Ministry of Health and has not been allowed to work as a doctor in the private sector since his release from prison in September 2011. Dr. Asghar is known for his volunteer and charity work as well as his leadership positions as a teacher and trainer in his field. He was arrested on March 17, 2011 at gunpoint in the Salmaniya Hospital parking lot and endured kicks and punches by those arresting him. He was then detained for six months, during which time he was transferred between five detention centers. At first, he was confined to a dark solitary cell, and at a different detention center he was later detained in an underground solitary confinement cell for three days. At the five detention centers, Dr. Asghar was subjected to torture and other forms of cruel, inhuman, and degrading treatment. Although he was initially sentenced to 15 years in prison by a military court, the sentence was later reduced to six months. He was released from prison on October 7, 2012, having served his sentence. To date, he has been suspended from work, which has had a detrimental impact on him and his family. Dr. Dhaif administered care to injured protesters at the beginning of the popular uprisings in Bahrain in February 2011. On March 19, 2011, he was arrested by masked men in civilian clothes as he and his family were preparing for a trip abroad. In front of his family, he was blindfolded and his face was covered with a black bag that was secured at his neck. He was then taken to the Criminal Investigation Directorate (CID) where he was severely beaten with a hose and sticks. After enduring significant abuse, he was interrogated about his treatment of the protesters and was forced to confess to leading protests, spreading false information, killing injured protesters, and stockpiling weapons, among other acts. He was then given papers to sign but was not allowed to read them. Over the next several months, he was detained and tortured, and his health suffered seriously. He was sentenced to 15 years in prison, but the sentence was later reduced to one year. 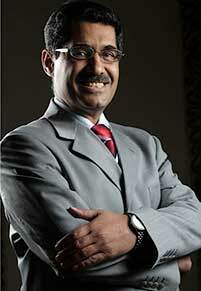 He was released from prison in March 2013, but the Bahraini authorities are preventing him from practicing medicine. 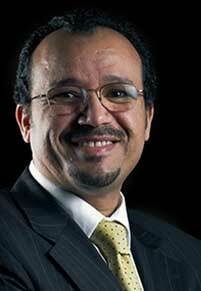 Dr. Haji’s life changed on April 17, 2011. On that day, she was going about her daily routine at Salmaniya Medical Complex and was called to the emergency room to assist with patients presenting with trauma relating to tear gas misuse. Shortly thereafter, she was arrested at her apartment in the middle of the night by more than 30 masked men, imprisoned for three weeks, tortured, denied sleep and food, and forced to confess to crimes she did not commit. 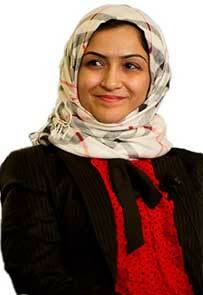 She faced felony charges, but was finally acquitted in June 2012. She has been suspended from work since her arrest in 2011, and the Bahraini authorities are not allowing her to return to Salmaniya Hospital nor to work in private practice. Since the start of the uprisings, she has become a leader and co-founder of the Bahrain Rehabilitation and Anti-Violence Organization (BRAVO). In April 2013, Dr. Haji shared that during her detainment, she and several other doctors were sexually assaulted and tortured in order for prison authorities to obtain false confessions. Dr. Omran is a senior consultant family physician who was the head of the Clinical Audit Group in the Medical Review Office and the coordinator of research and studies in the Ministry of Health (MOH) before the protests began in 2011. Dr. Omran was interrogated in April 2011 after helping the victims of a protest at Salmaniya Medical Complex and attempting to bring patients for medical treatment, for which he was beaten and humiliated. The MOH suspended Dr. Omran from work the day after interrogation. Later that month, he received a phone call requesting him to come to the Criminal Investigation Directorate for a short interrogation session. Once Dr. Omran arrived, he was blindfolded, handcuffed, and subjected to physical blows and verbal insults. Over the next four days, Dr. Omran was subjected to severe torture, including physical attacks, prolonged standing, and sleep deprivation. He was forced to give a false confession in front of cameras under the threat of electrocution if he refused. He was forbidden to see his family for almost a month and was allowed to meet a lawyer only after three months. Based on the false charges, which Dr. Omran denied, the military court initially sentenced Dr. Omran to fifteen years in prison. Following support from the international community, a civilian court later acquitted him. In spite of Dr. Omran’s repeated requests to get his medical license in private practice back, Dr. Omran received only a treating position in a health center, a position he obtained 21 years ago. The MOH refused to reinstate him to his previous position, and he was not compensated for any abuse he endured. Dr. Sarhan was arrested on April 13, 2011 by 20 masked men and one masked woman, who first took her family members hostage in order to find and detain Dr. Sarhan. Blindfolded and sleep deprived, she was beaten and tortured in a detention center. She was accused and convicted of participating in an illegal gathering, but appealed the conviction and was acquitted on March 28, 2013. A video of Dr. Sarhan was shown on Bahraini television that portrayed her administering care to a protester suffering convulsions. The host of the television segment claimed that Dr. Sarhan was falsely inducing the patient’s convulsions to generate media attention. Dr. Sarhan later explained to the police that injured protesters presented with abnormal symptoms including convulsions due to gas inhalation, but that it is still unclear what kind of gas was causing the symptoms. Dr. Sarhan was suspended from work for 11 months, and is now back at work but in a different position without the possibility of promotion. Dr. Tammam was volunteering at a medical tent, treating minor casualties during the beginning of the protests in February and March 2011. Dr. Tammam was a Chairman of the ENT Department at Salmaniya Medical Complex when the hospital was attacked, and he was detained inside the hospital for four days. He was later arrested, subjected to torture and other mistreatment, and signed a confession under duress. He was charged with misdemeanor crimes of illegal gathering and distributing false information to the media. He was suspended from work for a year, and was only rehired at half his prior salary upon his return. He was denied access to his private clinic for three months and was fired from his position teaching at the Arabian Gulf University School of Medicine and Medical Sciences. 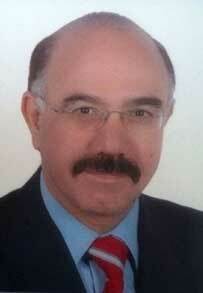 Dr. Tammam was acquitted of all charges in March 2013. 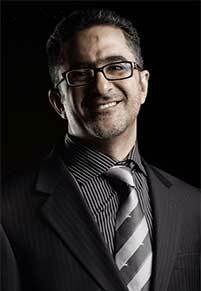 Despite his prior wrongful arrest, Dr. Tammam continues to be an advocate for change. In June 2013, he helped protestors in preparation for a rally supporting the poor conditions of political prisoners in A’ali, Bahrain.